Think summer in Barcelona means only sun and beaches? Think again! Barcelona has much more to offer in than just sand and salty turquoise water. A plethora of unmatched music festivals, an open-air cinema, a start-up fair, a motorcycle festival, and even a tap-dancing festival take place in the Mediterranean city come July. 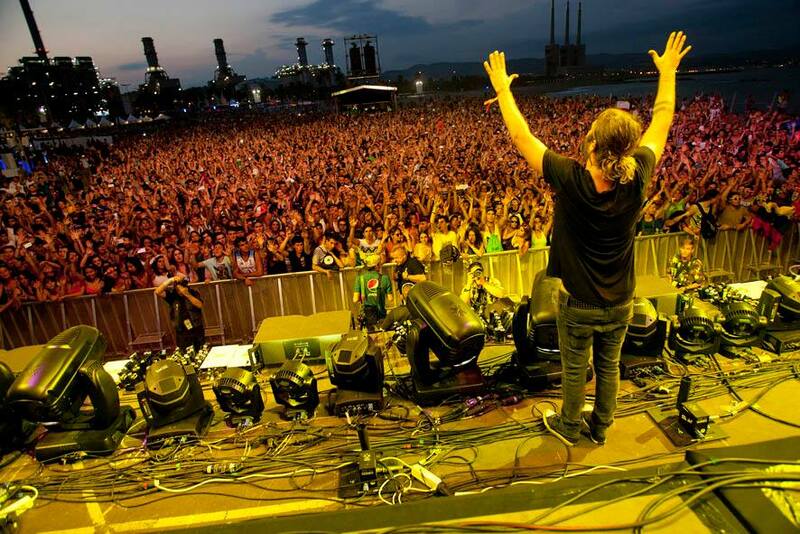 The vast selection of music festivals held in Barcelona is sure to strike a chord with almost anyone. The shows range from rock and reggae to hip hop and electronic, drawing crowds from all over Europe, and even the world! From mid-July to mid-August, the Cap Roig Festival in the province of Girona features more than 20 national and international musical artists including Lady Gaga, Tony Bennett, and Sting. Festival Cruïlla is another massive music festival from July 10 to July 12 that caters to all musical tastes: reggae, hip hop, punk rock, electronic, you name it! It certainly takes the gold medal for the most well-rounded music festival in Barcelona. Hard Rock Rising Barcelona will take over the city on July 24 and 25, and will feature more mainstream acts including Kings of Leon, Robbie Williams, and Lenny Kravitz. If you’re searching for more than just music, there are plenty of cultural festivals including Festival Grec (throughout the month of July) and Festival Castell de Peralada (July 10–August 6). There are even some themed festivals that cater to a passionate niche crowd: Harley Davidson hosts The Harley Days the first weekend of July that occupies Plaça d´Espaya, and it´s open to the public for free! If you’re searching for a more relaxing way to unwind in this exciting city, every Monday, Wednesday, and Friday evening from July 3–August 7, the castle atop Montjuïc opens its gardens and hosts a cinema night, setting the perfect scene for a peaceful family outing. This brief list is just a taste of what Barcelona has to offer during the summer month of July. 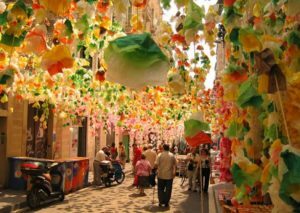 If you’re heading to Catalonia this summer, the opportunities for outdoor enjoyment will not disappoint. Sant Joan: The most meaningful beach party of the year!